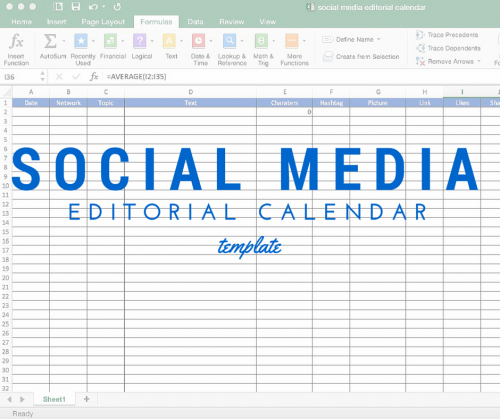 I’m sure many of you have heard of a Social Media Editorial Calendar. But, what is it for? and what do you do with it? The editorial calendar can come in many forms. It could be part of your calendar in Outlook/Calendar or a spread sheet. The purpose of the document is to organize all of your social media activities in one place so you can plan what you need to do in advance. It’s not fun to constantly scramble the day you need to post something. Also it helps when you remember events. This could be something like “National Ice Cream Day.’ Its not a day most people know. 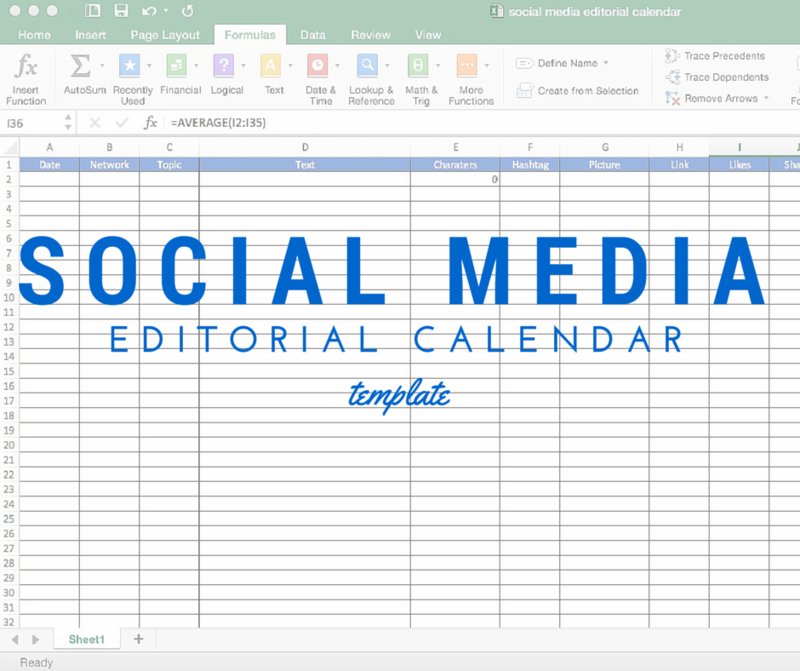 My personal preference for an editorial calendar is an Excel spread sheet. I like this for two reasons. The first is its very versatile and you can customize it . The second is I like to put in analytics next to the post. Usually I set up each calendar as a monthly calendar. At the beginning of the year I put in all major events. Those would include holidays, big events for clients and such. I also create a blank sheet for brain storming. As you can see by my template I have it pretty basic. It has date, topic, network, post, link and then the analytics. You can add any column you wish. If you are in a larger organization you may put in who is responsible for each post. Additionally you can put in a time column if you want a schedule to send out to others. If you have never used an editorial calendar keep it simple and then add columns as needed. One customization I have added to the spreadsheet is a character count. This comes in very handy with Twitter. Knowing you have 140 characters you can craft it in Excel before putting it in Twitter or your Social Media client. This is super easy to do in Excel. If you are familiar with formulas just search for LEN formula. Then choose the cell you want to count. If you set it up in a column like I did, you can click the cell and drag the corner down the column and its done! The analytics part is one thing I really like doing. It makes reporting easier when all the information is in one place. It can take some work but it will pay off in the end. This helps me see what the average like, comment and share was for each month. It then allows me to compare over the months to see if we go up and down. At the end of the year you can put all the data in one spread sheet and see the best to worst performing posts. This will take some more work (I will discuss this in a later post). It always pays to stay ahead of the game. 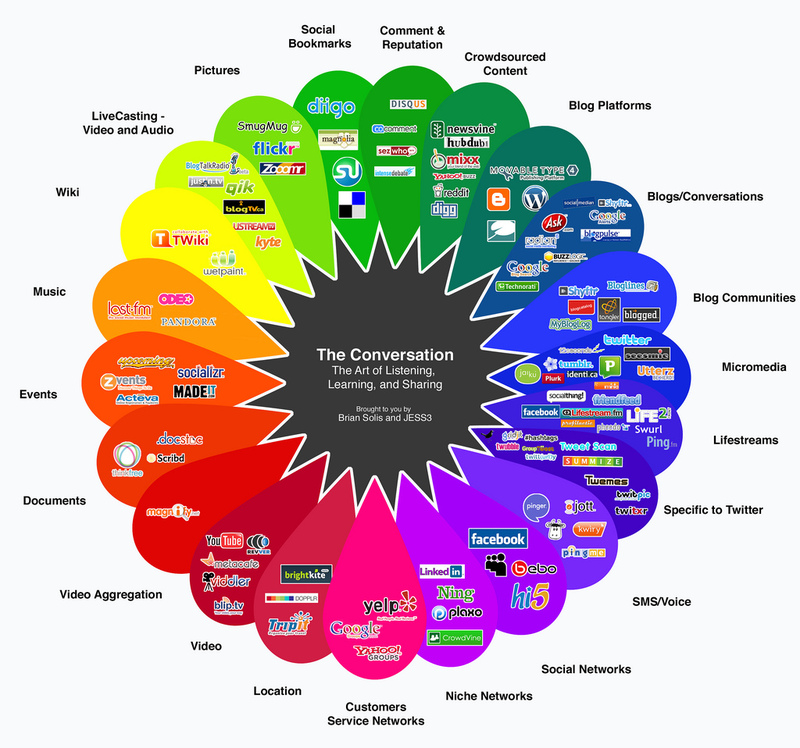 This should be a tool to help you and your social media efforts. Start off simple and let the spreadsheet grow!